Winners are determined by a random drawing of all eligible entries sent to Cool 101.3 OR by correct caller determined by a Cool 101.3 air personality. Winners have 30 days to pick up prizes at Cool 101.3 studios. Every Wednesday is pickup day at Eagle Cool 101.3. If you cannot pickup on Wednesdays, you must notify the business office. After 30 days, prizes go back in the prize closet. 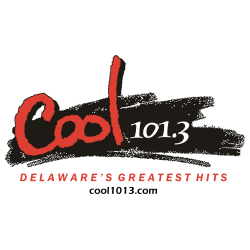 Employees of Cool 101.3, Delmarva Broadcasting Company, immediate family members, sponsors, agents, affiliates, parent companies, and other media stations or companies, and others acting on their behalf are not eligible to win.